Vertical aerial photography is appropriate when mapping or scaling is needed or when roads and relative distances are needed. Using a dedicated airplane and an advanced 9×9 camera, we excel at vertical aerial photography. 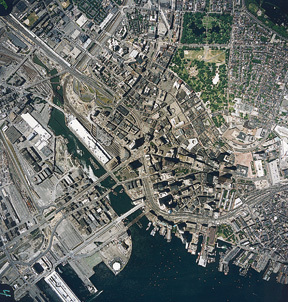 Our mapping photographs are the highest quality commercially available. These images can be blown up to wall size and sections can be enlarged to show greater detail.